An SCE seminar shows how new energy-efficient, plug-in appliances can provide convenience and savings. Chef Don Ocheltree checks vegetables cooked in a convection oven with infrared heat at SCE's Foodservice Technology Center. 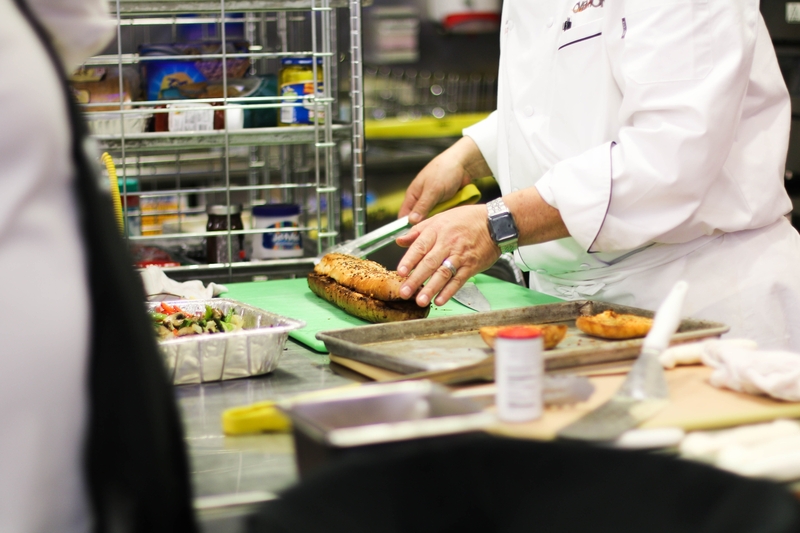 A variety of foods were cooked in a convection oven with infrared heating at an SCE Foodservice Technology Center demonstration. Chef Don Ocheltree prepares toasted pizza bread to show how an energy-efficient convection oven with infrared heat works. 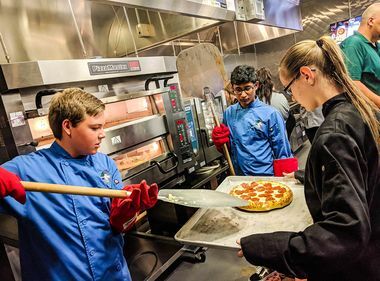 A pizza is sent through a convection oven with infrared heat during an SCE Kitchen of the Future Foodservice Technology demonstration. Toasted pizza bread bakes in an energy-efficient convection oven with infrared heat at SCE's Foodservice Technology Center. Vampire plug-in appliances in restaurants and food industry kitchens are silently sucking away profits from these businesses, but new energy-saving technology can save them money and time, says a commercial food service expert. “Toasters, espresso machines, warmers, warming lamps and hot dog roasters are running quietly and continuously, but it doesn’t need to be that way,” said David Zabrowski, vice president of Frontier Energy, which conducts food service equipment energy testing and consulting. Chef Don Ocheltree prepares toasted pizza bread to show how an energy efficient convection oven with infrared heat cooks. 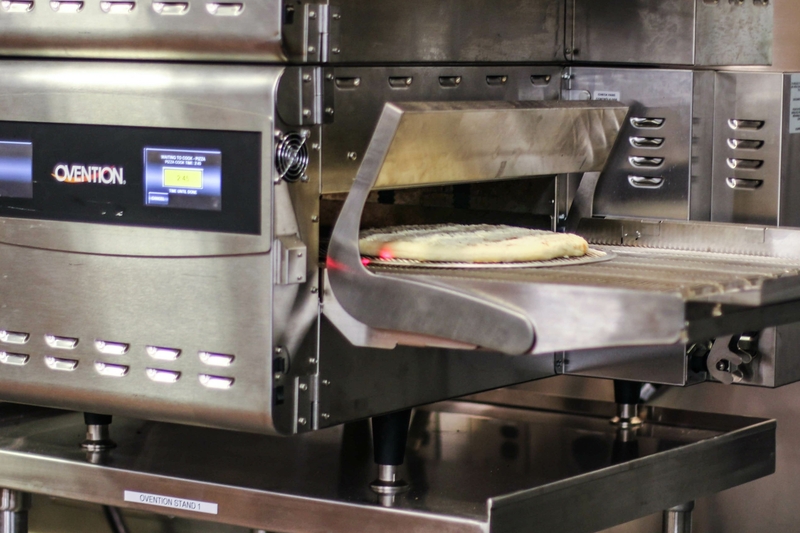 He said new technology ranging from smart conveyor toasters to induction hot plates and even smart pizza boxes can save time and much-needed kitchen space while improving the bottom line. 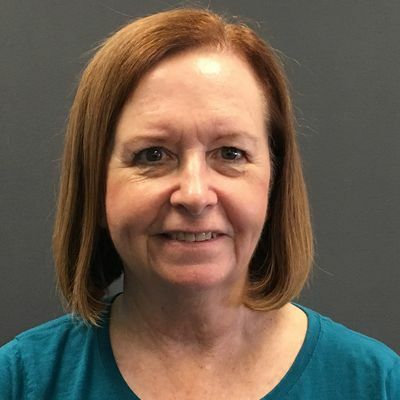 “In most cases, this new technology is not the current standard practice, but there are programs to impact that change,” said Zabrowski during a recent industry presentation to food service operators at Southern California Edison’s Foodservice Technology Center. Zabrowski cited the energy cost of running a standard restaurant conveyer toaster, which restaurants often leave on 24 hours a day to avoid waiting for the equipment to heat up to toasting temperature. He said tests on a comparable smart toaster, which heats on demand, can save nearly $1,450 a year on the electricity bill. Converting to induction cooking in the kitchen also can be a major cost saver. Zabrowski said a test of a restaurant induction warmer with 12 soup wells saved an estimated $420 a year, while an induction hot plate cut the annual electric bill an estimated $600. While these appliances can cost more up front, Zabrowski said food operators will see a quick return on their investment and then enjoy ongoing savings. Food service operators that are using the new technology are already seeing results. SCE helped a group of Southern California Taco Bells convert to all-electric Grill to Order dry lines. The restaurants save as much as $5,900 a year. Don Ocheltree, a career chef who now is a sales manager for oven maker Ovention, demonstrated a new high-speed convection oven that uses infrared heating to show how versatile and convenient the new technology can be cooking food quickly and efficiently. The oven uses infrared to generate high heat with the control of convection, which provides air on the top and bottom for even cooking." He served a variety of dishes ranging from chicken with jalapeno beurre blanc to roasted vegetables in shallot sauce and chocolate chip cookies — all cooked in the same oven. “The oven uses infrared to generate high heat with the control of convection, which provides air on the top and bottom for even cooking,” he said. 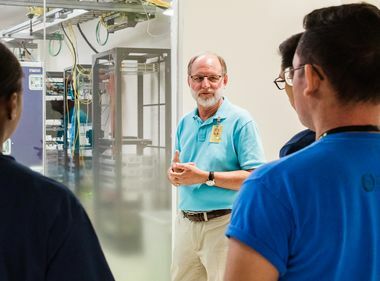 The seminar was one of many programs offered by SCE’s Foodservice Technology Center, a facility created more than 25 years ago to encourage the use of energy-efficient equipment. Andre Saldivar, the SCE engineer who oversees the center, said saving energy benefits both the food service industry and SCE. “Customers can save money while reducing the demand for power from the electric grid, which helps meet the state’s clean energy goals,” he said. 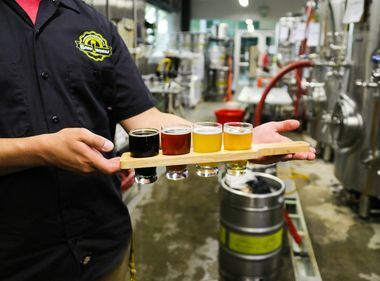 SCE has a variety of programs to help restaurants and other food industry operators try out the new energy-efficient equipment on their foods and menus. The utility also provides rebates to help defray the cost of the new appliances.